Continuously changing market requirements as well as new developments in information technology have become a dominating factor in today’s business environment. To be successful enterprises have to adapt quickly to new opportunities and threats. They have to take smart decision and execute fast. Innovation and agility become important success factors. The Management of Process Excellence (MPE) is the main enabler. It helps achieving immediate benefits while building lasting process management capabilities. MPE links strategy with people and technology based execution. SOA, Web 2.0 or “cloud computing” support this approach. The right process governance, including centers of excellence, and knowledge assets in form of reference models increase the delivered value again. Process excellence is not optional, but a necessity for companies competing in the new global economy. This book is an important contribution to the field and will help managers harness the power of process excellence to drive better performance. Managing an organization’s business processes distinctively well can be a fundamental source of competitive advantage in today’s fast growing global economy. Doing so however requires a unique cohesion between strategic vision, operational execution, and information technology sophistication. Dr. Kirchmer’s wide experience in helping organization’s Manage Business Process Excellence is succintly captured in this well thought out book. Business Process Management helps you to really understand your business and manage essential process innovation opening new ways to growth. Based on his profound experience in this area Dr. Kirchmer presents a clear vision how to do it best. 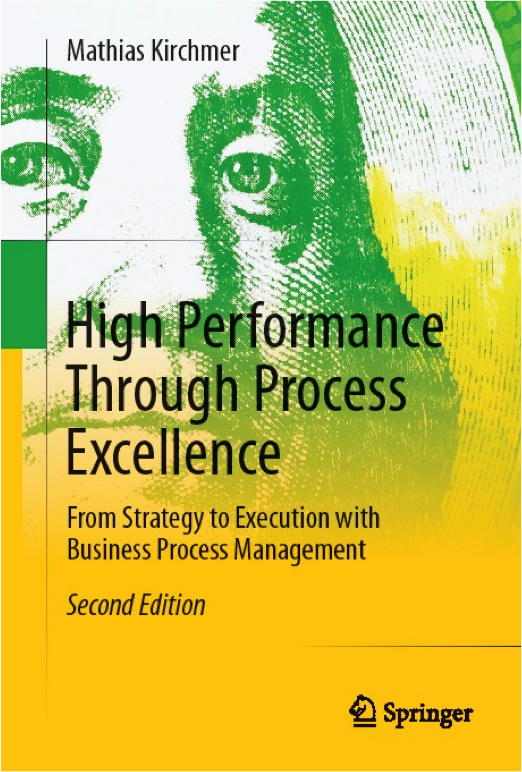 Kirchmer’s book takes the concept of process excellence into the 21st century. He explains how processes evolve, how process management encourages innovation, and why high growth starts with the foundation of world-class processes. Companies that lack an integrated business process management structure cannot fully leverage the advantages inherent in current released versions of enterprise software. This gap in effective business process management (BPM) practice places these businesses in a position of competitive disadvantage. Dr. Kirchmer’s book outlines a clear, straightforward path for any organization to move to BPM and improve to process excellence.